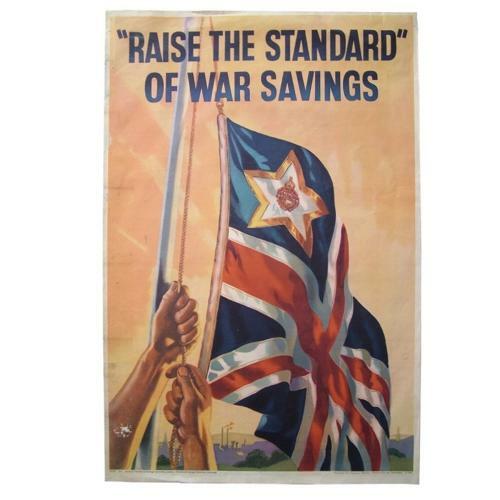 Striking original wartime poster "Raise The Standard Of War Savings'. Unknown artist. Paper, approximately 50 x 75cm. Issued by the National Savings Committee, London & The Scottish Savings Committee Edinburgh. Printed for H.M. Stationary Office by J Howitt & Son Ltd., Nottingham. Minor wear, creasing and edge 'nibbles' but in very good '+' to excellent overall condition. Stock code BO4366.